Just yesterday, ‘The Nature Boy’ Ric Flair donned the Black and Gold as he announced he’ll be at Tim Hortons Field for the Tiger-Cats Eastern Semi-Final game. We also saw just a few days ago Dallas Mavericks’ De’Andre Jordan showing up to the Scotiabank Arena wearing his brother Avery’s Ticats jersey, so what better time to take a look back at some fond memories where CFL teams were honoured away from the gridiron!? The most recent case of a CFL team being recognized would be fellow tenants at Ottawa’s TD Place, as the Ontario Hockey League’s Ottawa 67s introduced some spiffy looking REDBLACKS sweaters for their October 14 game against the Erie Otters. 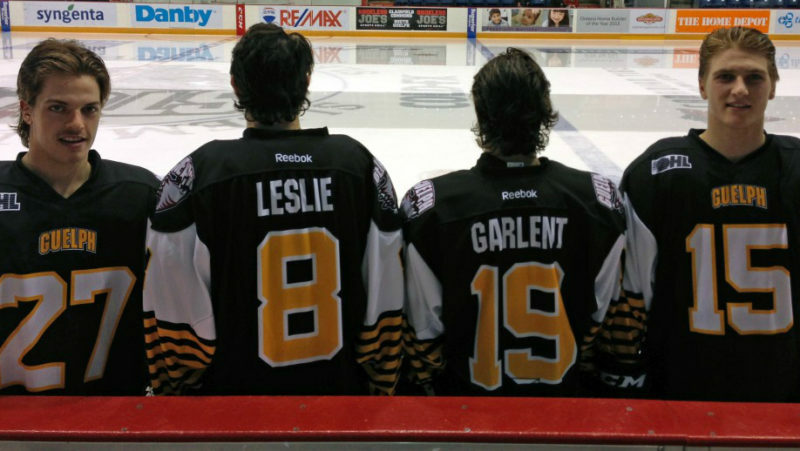 You wouldn’t see it now, especially considering Hamilton has their own Black and Gold-wearing hockey team since the Belleville Bulls moved to the Hammer to assume the Bulldogs name after the departure of the city’s American Hockey League team, but in 2013, the year the Tiger-Cats called Guelph home, the OHL’s Guelph Storm introduced Ticat-themed throwbacks. Front and back numbers on a hockey jersey? Throwbacks indeed! In Calgary, the Stampeders are owned by Flames Sports and Entertainment, the same company that operates the Calgary Flames of the National Hockey League. 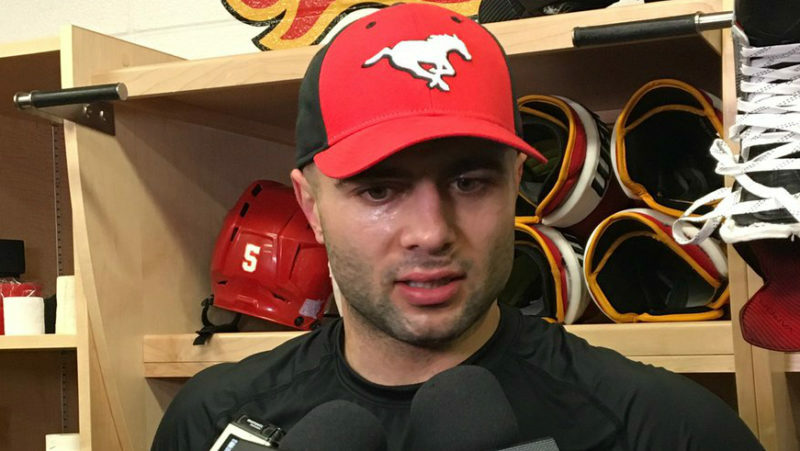 Last year, it was particularly cool to see Mark Giordano and other members of the Flames representing the Stamps during the 2017 playoffs. Canada’s rap star Drake has often held ‘Drake Night’ at Toronto Raptors games. Last season, a shirt giveaway had fans taking home shirts with all of Toronto’s major sports teams, yes, including North America’s oldest professional sports franchise – the Toronto Argonauts. Let’s also not forget about the strong relationship that is sports in Saskatchewan. 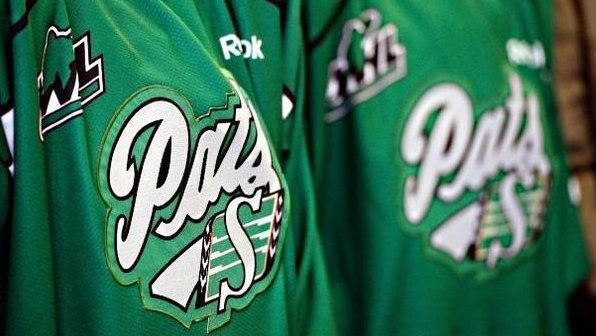 The Regina Pats felt a little green when they decided to change things up. The Pats urged their fans to turn Brandt Centre into a ‘Sea of Green’ as they changed up their usual Blue and White look for a stylish new Green and White design back in 2013. They then followed it up the following year with a clean white-based look with green accent. ‘Pat’ yourself on the back, Regina! Who knows what the future holds for CFL fashion. Maybe it’s only a matter of time before we see a CFL logo making its way into a music video. I mean, we have already seen some make their way onto the set of some well-known shows, so maybe it’s not that far down the road.